IkamvaYouth Mamelodi launched its library on Thursday in Mamelodi West D6, to promote literacy and a culture of reading to learners in the community. The Mamelodi Branch Coordinator, Neo Rakoma said: “We decided to open the library because we wanted to promote literacy and also promote the culture of reading. Our library is also stocked with books for different schools subjects so that our learners can have different references to help them in their academic development”. 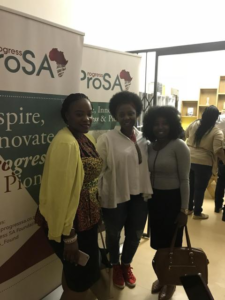 The establishment of the library was facilitated by Progress SA Foundation who help disadvantaged schools with establishing their libraries including science laboratories, after school programs, arts and crafts, sports & sports field and renovation of schools. They donated shelves, facilitated books donations to IkamvaYouth and books were sourced are from Protea Bookshop Hatfield, family & friends. IkamvaYouth also received an incredible donation of 16b books from Credo Book Shop. 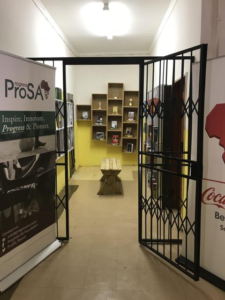 Coca Cola Beverages South Africa assisted with ensuring that the library was secured by providing a security gate and Micasa Tours donated paint for revamping the branch premises. The keynote speaker of the day was author Zama Gamede. Zama writes Life Skills books that target high school learners. One of her books, “Minding the Gap Hitchhikers Guide to the Working World”, takes graduates through the journey of the human resources process. The books gives job seekers ideas of what to expect when they enter the world of work. According to Neo Rakoma, IkamvaYouth feel proud about having the library because they believe that it’s an investment to the future of children.